First submitted Sunday, 13 January 2019 at 20:10:06 by Nicki J Lang. 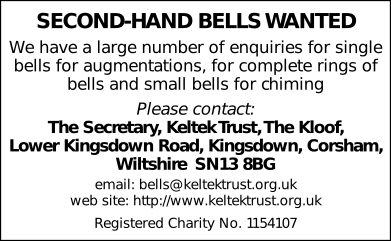 Sent for publication in The Ringing World on Sunday, 13 January 2019 at 20:11:53, and printed in issue 5622, page 85. This performance has been viewed 658 times.